American school officials continued to demonstrate their ability to over-react last week, as a Connecticut high school locked up all but one of its toilets in case anyone used an e-cig in there. Meanwhile Iowa legislators continue to push for a higher age limit on vapour and tobacco products, while their counterparts in Indiana have opted for a high-tax approach to attacking harm reduction. Vaping advocates in Asia are pushing back, though, as a coalition releases a position paper strongly criticising the Philippine FDA. Alternative nicotine products—including e-cigarettes, lower-risk tobacco alternatives like snus, and heat-not-burn devices—have fallen under disproportionate levels of scrutiny all over the world. In the United States alone, now-former Food and Drug Administration (FDA) commissioner Scott Gottlieb—without intention, I’m sure—engineered a nationwide panic that suggests that nicotine consumption among youth through electronic delivery systems (vapes, e-cigarettes, etc.) is at endemic levels. India’s trade ministry admits it cannot impose a ban on electronic cigarette imports. A UK campaign to ban sale of cigarettes to under 21s gathers pace. Professor Robert West discusses insurance for vapers on BBC Radio 4. American cops visit schools to warn students about vaping. Seychelles is set to introduce new regulations legalising the sale of vapour products, and McLaren debuts e-cig branding in Bahrain. Dr Mark Porter is an experienced medical journalist who has worked at The Times and Saga Magazine, and as presenter of Radio 4’s medical series Inside Health. Recently, he spoke to University of Bristol’s Professor Marcus Munafo about how vaping is dividing the public health community. Porter turned to Biological Psychologist Professor Munafo for answers. But what do they think about our changing high streets? It’s a sunny Wednesday afternoon during the Easter holidays and the shops in Bolton town centre seem to be doing a brisk trade. At one end of the recently revamped Newport Street precinct a little funfair has been set up to keep the kids entertained and plenty of families are milling around. But just 24 hours earlier, businesses were rocked by the news Debenhams had gone into administration, leaving 25,000 staff fearing for their jobs and casting doubt on the future of the Bolton branch. The last presentation of the day was given by Emeritus Professor Robert Beaglehole. We write out of continuing concern about the call for a complete ban on e-cigarettes, heated tobacco products and other reduced risk tobacco product sales and possession. The justifications for this ban – including that both combustible cigarettes and reduced risk products are harmful, and that people should quit using other “proven effective” methods – ignores the potential for reduced risk products to help people who smoke to move away from the most hazardous product, cigarettes. Sales of cigarettes in the US have nosedived as smokers continue to switch to vaping in their droves, new data has revealed. Sales fell by 8.8% year on year in the four weeks to March 23, according to the latest US syndicated market data from Nielsen, which tracks cigarette sales. The figures follow an 8% decline in February and an overall 5.3% decrease in 2018. One of the latest acts of government regulation intended to save us all from ourselves is the growing number of states raising the minimum age to purchase tobacco or vaping products to 21. As CBS News reports, Illinois is among the latest to make this move. Now here comes the kicker. 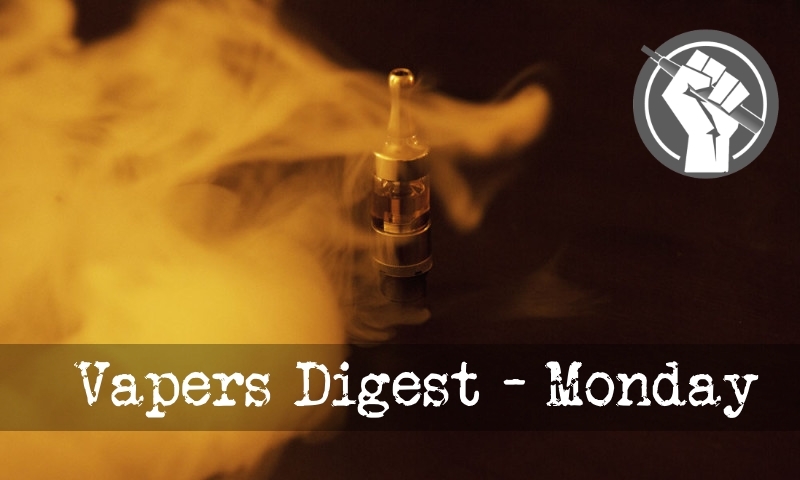 Last week, Congressman Robert Aderholt (R) of Alabama’s 4th District introduced legislation that would make 21 the legal age for tobacco or vaping products for the entire country. On the surface, you might find this an appealing idea. After all, you don’t want more young people taking up smoking or becoming addicted to nicotine, right? What’s not to like? Juul launches a pilot program..
Snus Ban: Let’s Leave The EU..
As I reported in January, the UK government went in to bat for the EU in favour of upholding the ban on snus everywhere but Sweden when it was challenged in the ECJ. Overwhelming isn’t the word, snus has just about been given a clean bill of health in every aspect. A Lancet review spoke of no evidence of harm from long-term use of snus ”for any health outcome” (p 1364). Back in January last year I scribbled about the EU and its ideologically founded belief that all forms of tobacco are a “bad thing”. Since then, the New Nicotine Alliance asked for, and received, permission to join the legal action brought about by Swedish Match in July 2016 in the UK. As with any legal challenge, I expected a slew of articles to push a certain agenda – i.e. in favour of the status quo. Imagine my surprise when not very much happened. Until recently that is.